I wonder if the designers at the big games houses are all graduates in anthropology, archaeology or ancient history. They certainly love their ancient civilisations, and the latest designers to ask us to board a time machine to the past for the future of online video slots are Push Gaming, who are behind Blaze of Ra slot, a new Ancient Egyptian-linked slot. 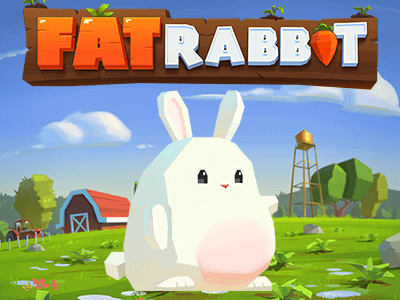 Push Gamspecialiseslise in HTML5 games for mobiles, and include Fat Rabbit and Tiki Tumble among their recent output. 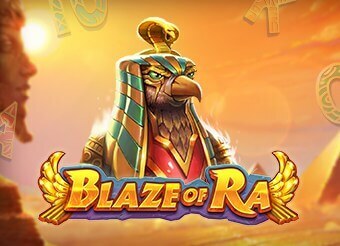 Blaze of Ra slot game, which came out late in 2017 and can be played on all platforms, offers a medium to high volatility experience with a theoretical return to player of 96.4%, is a five by four layout, with 40 pay-lines and delivering a top jackpot of 500,000 coins. Staking is from 0.20 coins to 100 on each spin. These guys are real specialists in the look of games, and they’ve done a bang-up job this time out too. 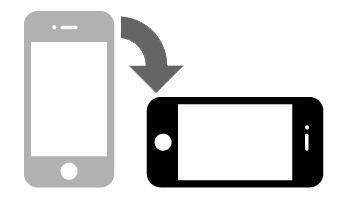 In the best mobile-design style, the reels are right up in your face, super clear and easy to see. The backdrop is a nicely atmospheric take on an Egyptian desert scene with Ra, the bird god, looking on. The symbols are also beautifully designed. Above a jack-to-ace run of playing cards are the Egyptian gods and symbols – an ankh, a lotus flower, eye of Horus, and Anubis and Bastet, the cat-headed god, who pays out 20x stake for a full set of five. Ra is here too, paying 2.5, 12, or 50 times stake for three, four, or five symbols respectively. He’s also the wild and a big part of game play. Nudging wilds are a base-game extra feature. When you see the Ra symbol at the top two positions of the reels before you spin, then you can expect them to nudge down the reels by one square each time you spin. You’ll need to see the scatter to trigger the free spins. Three of the scarab beetle signs mean that you’re in the money. 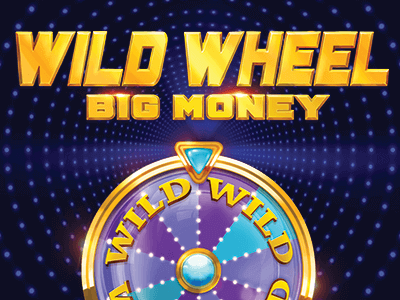 In the free spins round, you might enjoy some massive wins, with reels 1, 3, or 5 stacked with wilds, and extra free spins available each time you see the scarab again. This is a generous round. There’s plenty of stuff to enjoy here. Although there are a load of Egyptian games out there this one really stands out for sparkling graphics, great theming, a good soundtrack and crystal-clear animation and play. Even better than that is a rewarding base-game extra feature and a really good free spins feature. 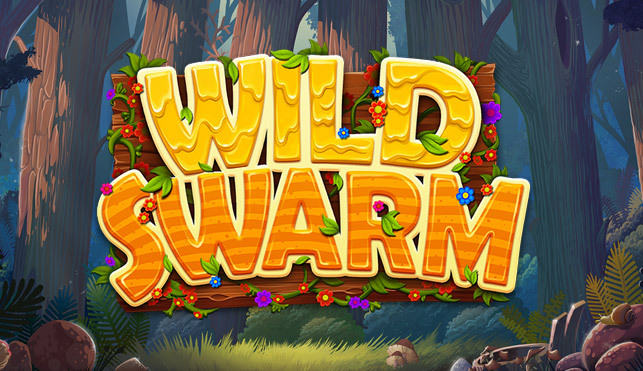 While it doesn’t have the numbers that some machines have, adding loads of extra wilds to the reels really could add up the coins, and may account for the machines high volatility and will certainly give the biggest wins. If you feel like you’ve seen the past before then this new take on the Egyptian experience might be an invitation to spend more of your future there. This Offer is only available for new customers in the UK and Northern Ireland. New players must be 18+ years of age and proof of identity documents may be requested for verification purposes. The welcome offer is split into four deposit bonuses or four spins offers. You will only be eligible to choose one of the offers for each deposit. With all four deposits, you can get a total of £400 in bonus money and 200 spins OR a total of 600 spins on preselected games. The first deposit bonus is 200% up to £50 bonus money + 200 spins on Starburst (20 spins per day for the next 10 days) OR deposit £100 or more and get up to 300 spins on pre-selected games. The second deposit bonus is a 100% match bonus up to maximum £50 bonus money OR deposit £50 or more and gets up to 100 spins on Finn and the Swirly Spin. The third deposit bonus is 50% up to maximum £100 bonus money OR deposit £50 or more and get up to 100 spins on Jungle Books. The fourth deposit bonus is 25% up to a maximum £200 bonus money OR deposit £50 or more and get up to 100 spins on Gemix. The minimum deposit required to activate each offer is £10. The Offer can only be received once per Casino Heroes account, person, family, household, address, e-mail address, mobile number, credit card number and/or IP address. In the event of a customer opening more than one account on Casino Heroes, we reserve the right to suspend and close all associated accounts, and/or make void any payments, bets, and winnings.